It is difficult to imagine a college class today that does not include some online componentâwhether a simple posting of a syllabus to course management software, the use of social media for communication, or a full-blown course offering through a MOOC platform. In Teaching Online, Claire Howell Major describes for college faculty the changes that accompany use of such technologies and offers real-world strategies for surmounting digital teaching challenges. Teaching with these evolving media requires instructors to alter the ways in which they conceive of and do their work, according to Major. They must frequently update their knowledge of learning, teaching, and media, and they need to develop new forms of instruction, revise and reconceptualize classroom materials, and refresh their communication patterns. Faculty teaching online must also reconsider the student experience and determine what changes for students ultimately mean for their own work and for their institutions. Teaching Online presents instructors with a thoughtful synthesis of educational theory, research, and practice as well as a review of strategies for managing the instructional changes involved in teaching online. In addition, this book presents examples of best practices from successful online instructors as well as cutting-edge ideas from leading scholars and educational technologists. 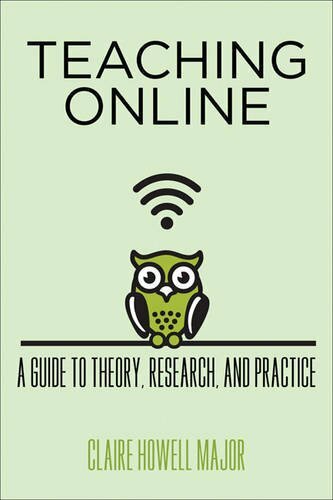 Faculty members, researchers, instructional designers, students, administrators, and policy makers who engage with online learning will find this book an invaluable resource. About: It is difficult to imagine a college class today that does not include some online component―whether a simple posting of a syllabus to course management software, the use of social media for communication, or a full-blown course offering through a MOOC platform.